Performing an eclectic holiday program that’s sure to put you in the spirit of the season, the vocal group will present classic songs by Mariah Carey, Ella Fitzgerald and the Fleet Foxes along with some of your favorite carols. 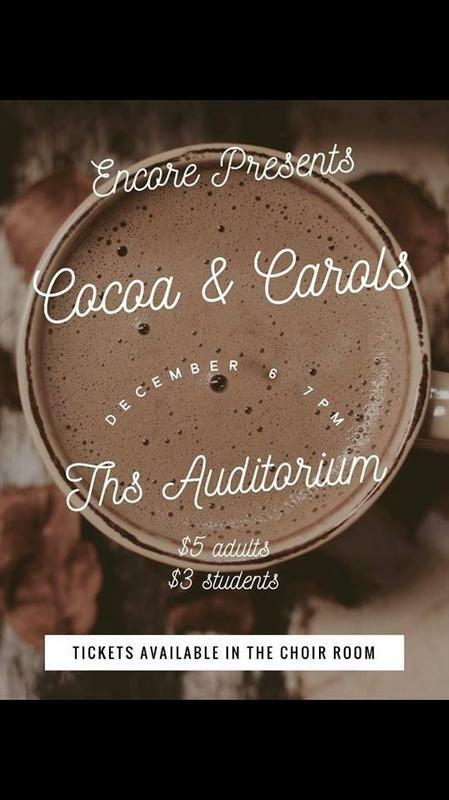 Cocoa and holiday cookies will be served throughout the program. Tickets are $3 for students and $5 for adults, and can be purchased in the choir room, from members of Encore, or at the door as available. Audience members must enter through the blue double doors on the front of the main building, just to the right of the loading dock and to the left of the student center doors. See you Thursday night at 7pm for Cocoa and Carols.